Your friends. Your stories. Your life. 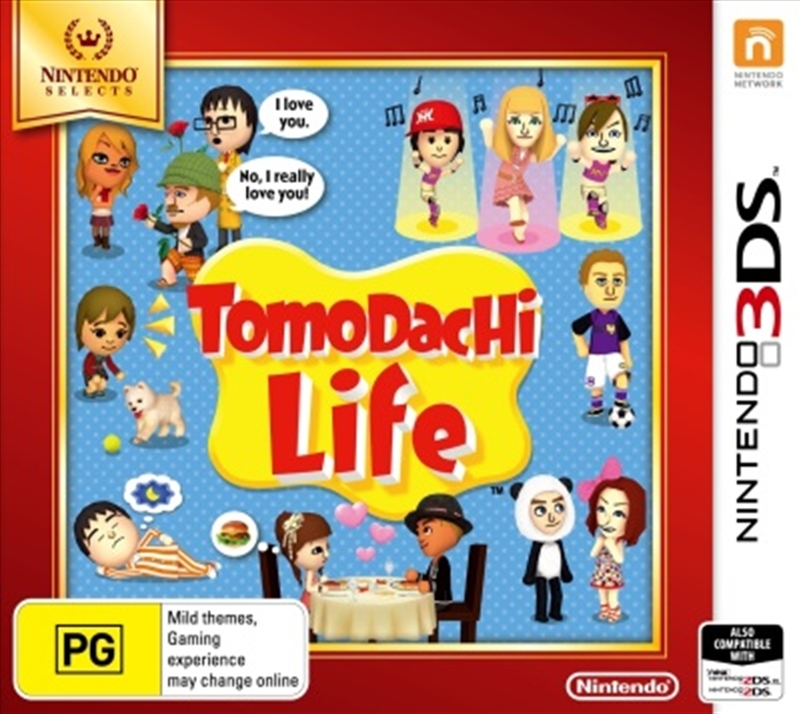 Direct your Mii characters' lives by helping them find love and happiness as the drama unfolds. Customise your characters with a variety of voice settings adjusting pitch, speed or intonation to match their real-life counterparts. Fill your Mii character's wardrobes with a huge variety of clothing and hats. 16 personality types that dictate the way a Mii acts, reacts and interacts with other on the island. Witness and participate in life changing and often hilarious situations via Touch Screen interaction. The island offers a range of activities and destinations filled with shops and places the Mii characters can socialise in, while everyone lives together in their spacious Mii Apartments building. Take screenshots at any time of every precious or larger-than-life moment. These snaps can immediately be posted to Facebook, Twitter and Tumblr to extend the experience with others.